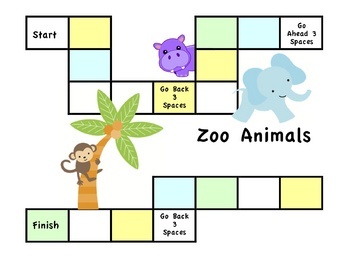 In the game "Zoo Animals Write, Read, and Roll!" 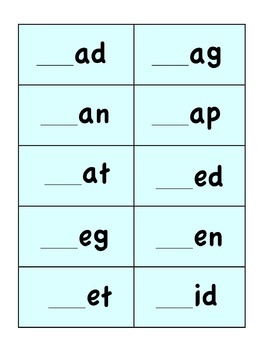 students write in a beginning letter sound and then read the CVC word. 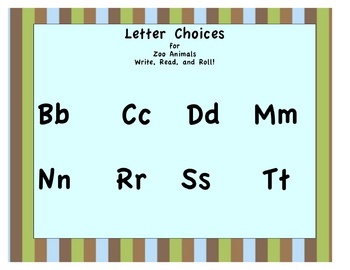 This game comes with a 2-page game board, 27 CVC fill-in-the-blank cards, a directions sheet, and 2 pages of "Letter Choices" for differentiated play. 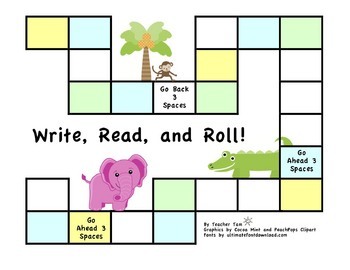 This game provides fun reading and writing practice for small group reading instruction, your literacy center, or as a take home activity. If you like this set, please take a minute to "LIKE" it and "PIN" it! Thanks in advance!